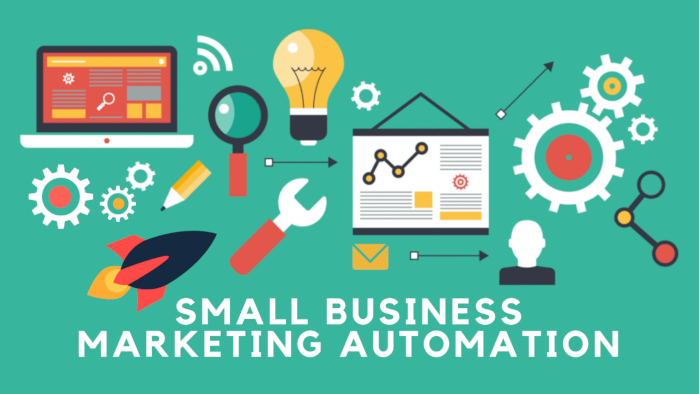 Marketing automation is beneficial for small businesses. If your business is in the growth phase, marketing automation should be a priority to get your target audience to notice you. It will allow you to focus on the other important areas of your business. Above all, it will help you achieve your business goals faster than you would otherwise. The number of communicating channels have increased through certain time. Even though it’s good to have a lot of opportunities to attract clients, managing many channels can sometimes turn into a full-time job. This explains why the biggest group of marketing automation buyers are small and midsize businesses. First of all, there are various ways of defining marketing automation. Some people say MA is a software that handles different tasks for your business. Others say it’s a way of connecting with your audience without repeating the same tasks. We can say it’s both – even more. The main idea behind marketing automation is not to make your life easier by automating as many tasks as possible. Even more, it is rather to help you create better, more effective marketing campaigns. That leads to more conversions and new customers. And new customers lead to an increase in your businesses’ performance. Picture 1. What marketing automation tools do you use? Businesses can target their customers with automated messages through text, email or web. You collect customer data through many interactions: emails, website visits, app usage, on social media, and so on. Everybody who handles things on his own should consider implementing marketing automation software. Without the platforms of marketing automation, small businesses will always struggle. Especially to survive in a customer-centric environment. You’re always at the mercy of your competitors’ business and marketing decisions. But with these platforms, you have a lot to gain because you’ll have the tools you need to grow and sustain your business. When speaking about the right key to growth, we can say it is definitely customer experience. If you are able to connect with customers then you’ve found the key. Due to that personal touch, successful companies are able to pull off with the help of technology like marketing automation. For someone whose business is small or mid-sized (SMB) and looking for a MAP, these five platforms are a perfect fit. HubSpot Marketing is an inbound marketing software. It offers a full growth stack of software for marketing, sales and customer management. The main focus is on growing traffic and increasing lead conversions. Tools that HubSpot uses are for blogging, emailing, SEO, MA, lead management, and analytics. With them, this platform can give you the things you need to launch effective campaigns. The system also integrates with many CMSs, email service providers, eCommerce tools, and social networks. HubSpot’s MA solution lets you configure automated workflows that take care of lead nurturing with drip email campaigns. The MA platform offers tools for blogging, landing pages, emails, analytics, social media, lead management, CMS, SEO, and ads. HubSpot integrates with Salesforce, MailChimp and 200 other products. Marketo is flexible marketing automation. Founded in 2006, Marketo has ranked 78th on the Inc. 500 (2012), number 7 among software companies, and number 1 among marketing software companies. It is accessible on both desktop and mobile devices. Its software provides a variety of features. For B2B marketing, lead management, email campaigns, budgeting, and ROI optimization. The platform also allows for real-time personalization, so you may engage your target market. In contrast, Marketo also developed a product especially for small businesses, Spark. Spark allows businesses to set up and track marketing campaigns of any type. Active Campaign is a business marketing application designed for small companies. Accordingly, it’s used by over 100,000 people globally, and it is to be one of the most affordable providers for SMBs. Plus the quality of their software is great. In fact, this software has all the tools you need to boost your business from marketing automation. The tool provides a convenient set of emails and messaging features. As a result, it features links to marketing automation platform. Along with built-in CRM and sales automation functionalities. With over 145,000 users, Infusionsoft is a platform dedicated to small business owners, to help them save time and get better results. It is a powerful tool and was one of the first marketing automation providers to offer a visual campaign builder. With Infusionsoft, you can do different things. Collect and store contacts, build landing pages, design marketing campaigns and similar. There are more than 300 apps and integrations in their marketplace. Finally, that makes possible to integrate the solution with a large variety of tools. Infusionsoft offers integrations with over 220 applications and platforms. Some of them are BigCommerce, WordPress, Outlook, Gmail, Zendesk, Zapier, Leadpages, and QuickBooks. Ontraport is the most powerful visual MA and reporting platform in the world. Designed to help manage your entire marketing workflow. From bringing in new visitors all the way to making sure they feel welcome as customers. Once you’ve set it up, it can do most of that on its own, and you can as well focus more on growing your core business. Ontraport provides customer relationship management (CRM) system. It serves to automate content, marketing, sales, and information management with ease. The purpose of this provider is to make strong maintaining relationships with clients and customers. It includes tools for lead capture, marketing features, and automation, task management, affiliate management, payment and more. If you’re planning a marketing automation software for your business, it’s crucial you choose the right one. That’s why right thing, indeed, would be to look at the current state of your business. In what position it is now. Consider what your next steps should be and how you’re going to achieve them. With this in mind, you should choose a tool that can not only help you improve your business, but that can also grow along with your business – and take it to new heights. Every business that currently has customers or that is seeking to attract more customers can enjoy the implementation of MA. Whether you’re a tailor, a chemist or a rock star, automated marketing is the way that your business and brand should be interacting with the public. If you have your strategy in place, your workflow is on point and all you need is a tool to make your business more efficient, MA system is the thing for you.